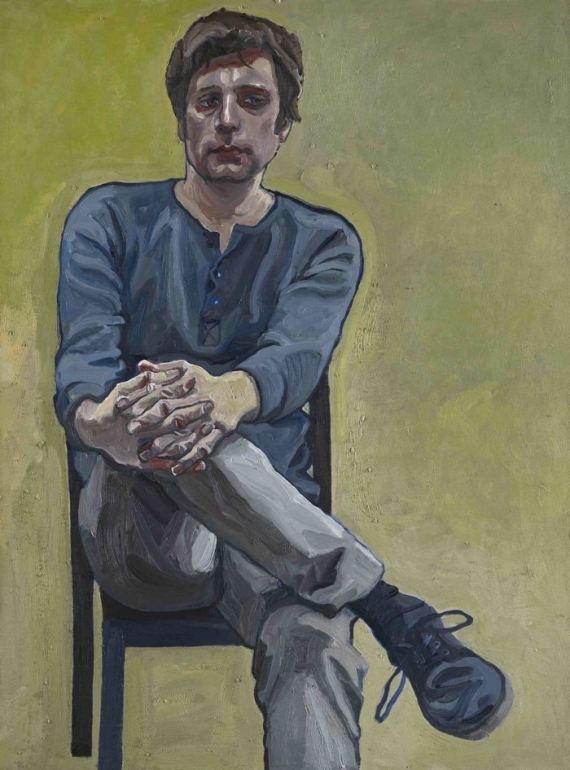 This year's BP Portrait Award has been won by Susanne du Toit for her painting of her eldest son, Pieter. The winner of this year’s BP Portrait Award, announced at the National Portrait Gallery tonight, is Susanne du Toit, 57. The Berkshire-based artist was awarded the £30,000 prize for her painting, Pieter, a portrait of her 35-year-old eldest son. Her prize includes a commission, at the National Portrait Gallery Trustees’ discretion, worth £5,000. The second prize of £10,000 went to Coventry-based artist and teacher John Devane, 58, for The Uncertain Time, a group portrait of his children Lucy, Laura and Louis. The BP Young Artist Award of £7,000 for the work of an entrant between 18 and 30 has been won by Scottish painter and illustrator Owen Normand for Das Berliner Zimmer (The Berlin Room). This year’s BP Portrait Award received 1,969 entries from 77 different countries. Judged anonymously, 55 portraits have been selected for the exhibition, which takes place at the National Portrait Gallery, London, 20 June-15 September 2013.